January 2, 2018 — Ferdinand, IN – 2018 is looking to be another successful year for the locally owned self-storage company, Access Storage Now, after completing the transaction with Steve Morrow on the purchase of Birdseye Self-Storage earlier today. 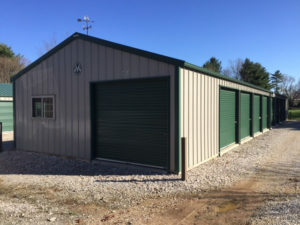 Access Storage Now owns and operates 11 locations, totaling 2,500 units, throughout southern Indiana. Current Birdseye tenants will have the same amenities as other Access customers, including on-line renting; on-line account management; and on-line bill pay. Customers may also sign up for an auto-pay option using a credit card, debit card or ACH deduction. To see availability, complete a rental and to learn more about Access Storage Now, visit our redesigned website, www.AccessStorageNow.com. Expansions are currently in progress in Corydon, Dale, Huntingburg and Ireland. Access Storage Now is a leading partner in the self-storage industry with more than 20 years of experience offering affordable, accessible and secure storage space for both residential and commercial customers.